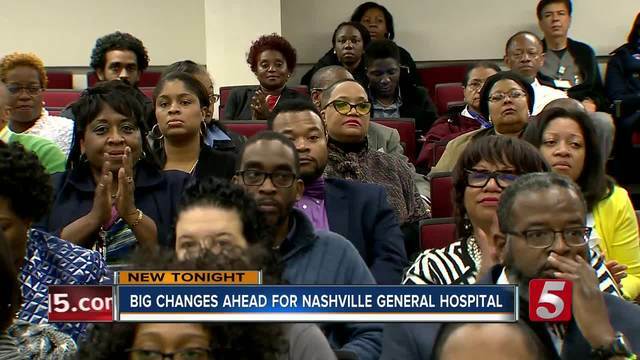 Mayor Megan Barry announced Nashville General Hospital will soon become an outpatient clinic due to ongoing budget problems. She made the announcement during a press conference Thursday at Meharry Medical College. Barry explained that the inpatient Nashville General Hospital would be closing for an alternative outpatient clinic to be decided next year. General has faced budget shortfalls by the tens of millions every year, as well as low patient numbers. The mayor said the change would be an opportunity to take a look at the hospital's low patient volume, and how it can better serve the city. "I want people to have access to healthcare. And I think in Nashville, it's great to have access to healthcare; so, that continues. The good news for the citizens of Nashville is they have lots of choices," said Barry referencing the multiple hospitals available in town. However, employees there said they were in the dark and were unaware of the decision until the announcement was made. "Right now we have more questions than answers. Right now, we're trying to have those questions answered, more importantly for the patients, but also the employees," said Freda Player-Peters with the Service Employees National Union. Patients who can't receive specialized care will be sent from Nashville General to other hospitals to receive it. A set plan had not yet been made. City officials said they would be working on one until the center makes the switch on July 1 of 2018. Because of the change Meharry Medical College students, whose primary training hospital is Nashville General, will have to find another place to train. College President Dr. James Hildreth, MD, Ph.D. announced a partnership with HCA; so that students can train at TriStar Southern Hill Medical Center.